Don't walk past the tasty chicken curry! While most airlines generally reserve their best lounges for business class passengers, Lufthansa does things a little differently, by having one lounge for business class – as you'd expect – but another, the higher-tier Senator Lounge, kept for Star Alliance Gold frequent flyers, even if travelling in economy. Here, the range of food and drinks on offer is a little more extensive, and the space is generally just that bit quieter given the shorter door list, encouraging regular travellers to fly with Lufthansa and its Star Alliance partners over what can be fierce competition from other European airlines. Australian Business Traveller stopped by the Lufthansa Senator Lounge at Heathrow Airport on a recent journey to London to put this 'better than business class but not quite first class' lounge through its paces. After proceeding through fast-track security at Heathrow T2 as a Star Alliance Gold frequent flyer, take a sharp right to find the Lufthansa lounge complex, which houses both a Business Lounge and the Senator Lounge, marked 'A1' on airport maps. You're greeted at reception in what is the Business Lounge, and if eligible for Senator Lounge access, you'll be given a barcode slip to scan for entry at a separate door inside, which sits at the back of the Business Lounge. ... including a dining room, although all food and drink comes from the buffet. As with the Lufthansa Business Lounge next door, the Lufthansa Senator Lounge opens from 5am until 10pm daily. Miles & More Senator and HON Circle frequent flyers departing on a Lufthansa, Star Alliance or eligible codeshare partner flight the same day. Other Star Alliance Gold cardholders departing on a same-day Lufthansa or Star Alliance flight. 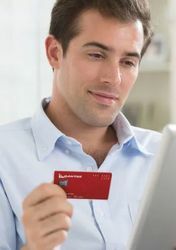 Lufthansa and SWISS first class travellers connecting to or from a same-day flight – such as flying Lufthansa to Frankfurt in business class or economy with an onward connection in Lufthansa first class (or vice versa). Other Star Alliance first class passengers departing from London (although the United Global First Lounge and Singapore Airlines SilverKris First Class lounges await). 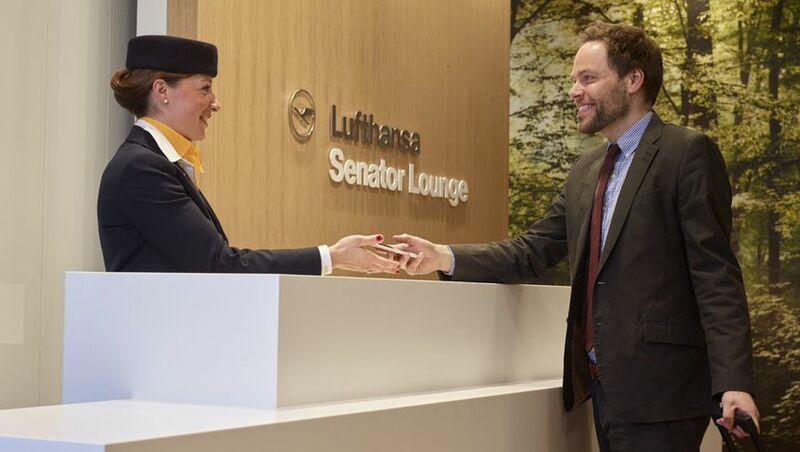 Take note that a Lufthansa or Star Alliance business class boarding pass does not provide access to the Senator Lounge unless also holding Star Alliance Gold frequent flyer status – so if that describes your journey, you can visit the Business Lounge next door instead. On the dining front, the Senator Lounge is much like the Business Lounge, but with a slightly wider variety of dishes and drinks to choose from. Regular travellers with a keen eye might have spotted that the menu and catering here is provided by Do&Co – the same company that supplies British Airways' all-business-class flights from London City Airport to New York JFK – so although the dining range isn't overly extensive, the food that is provided here is of a reasonably good quality. However, with the airport's other Star Alliance lounges offering a mix of tended bars, cocktails, hand-crafted espresso coffee, broader selections of hot food and more (depending on which lounge you visit), we can't give this space more than three stars on the dining front, particularly when positioned as a better-than-business-class lounge. Given most passengers visiting this lounge will be taking shorter hops across Europe as opposed to longer international (sleeping) flights, there's a good amount of space for business travellers, beginning with a dedicated working room. WiFi is shared with the Business Lounge next door and offered downloads speeds of 16-22Mbps during my stay, with uploads measuring at 5-8Mbps: perfectly ample for most tasks. Overall, the Lufthansa Senator Lounge is more than adequate for passengers taking short flights across Europe, and for regular travellers such as Star Alliance Gold frequent flyers, it's nice to see that loyalty recognised with a slightly better lounge than provided to regular business class travellers sans status. For passengers jetting further afield and arriving at Heathrow feeling a little peckish, this lounge's location right next to security proves a good place for a pitstop and a bite to eat, even if departing from the terminal's B pier where the other Star Alliance lounges are located. Of course, eligible passengers flying with Lufthansa – and all other Star Alliance airlines – could also choose to visit the terminal's Air Canada, Singapore Airlines and United Club/Global First lounges, so if there's plenty of time before your flight, take your pick! Chris, thanks for the review. It's interesting that there are such contrasts with the way in which SQ treat Star Alliance Gold members, the Gold Lounges at Changi are shameful, and that's at their home airport, Lufthansa are making a better attempt at an outstation, albeit a major one. Even BA (who I am the first to criticise and have the similar type of monopoly at LHR that SQ have at Changi) provide a step up for their Gold FF members (OWE, equivalent to QF Platinum). Good and fair review. Decent and clean but not as good as other T2 offerings, however they require a long trek there and back if flying LH, which usually depart from gates extremely conveniently located near the lounge and security. Would take the pleasant but inferior lounge to avoid the 15min return walk to other lounges. I'm usually at the LHR Senator lounge twice a month and love it. I don't think the food is much worse that the SQ or UA lounges. It's better than the AC lounge for sure. The soups, pasta, and salads are consistently great and the hot dish (usually a curry) is generally good too. Deserts are a limited. Showers are excellent too. As you say, it lacks the tendered bar of the SQ and UA lounges but the SQ bar is only tendered in the evening. What it does have is Europe power sockets - something SQ, UA and AC don't have. That's a game changer for me as given I'm based in Europe all my plugs are the round Europe ones. And yes, as Star Gold it's great to have some tier recognition -something SQ don't do well at all at Changi. The Star Alliance recognition at Changi didn’t really bother me too much before. But as I’m now based in Singapore it really does frustrate me. As I’ve started my own business I have to look at costs and for short haul Asian travel economy is one thing I do now make use of (up to a point). The SQ provision at Changi is dreadful in their ‘Gold’ lounges. It really is a slap in the face for loyal customers. It smacks of a company reluctantly knowing they have to do something but putting the bare minimum effort and cost into so doing. If I was flying One World, even in economy, I have the option of both Qantas and BA lounges (and soon the new Qantas First Class Lounge, which should allow entry for OWE), even if I chose to fly economy. Worth noting no showers here if you are transferring from long haul onto short haul and wanting to freshen up. The SQ, UA and AC lounges all do, but there are in 2B wing which is quite some walk. Would my Gold VA get access? No: Virgin Australia isn't affiliated with Star Alliance. The only option for VA Gold here is the Singapore Airlines lounge when flying Singapore Airlines only, as part of that partnership. Comment on "Lufthansa Senator Lounge, London Heathrow Airport T2"